It sure can be tough balancing your work-life with being a parent. Before the kids came along, everything took half the time. Going on a night out with your homies required no thought at all. There’s no denying having children is a wonderful gift, but it sure can complicate things and sometimes leave you feeling like there’s no time left for you. In this article, we’re going to look at taking back control by using simple time management for parents that can help you balance work and family life. I’m going to tell you about five surprisingly simple steps to improve your time management as a busy Mom or Dad. Being a parent can easily be a full-time job all on its own, but somehow you must also fit in everything else too, work to feed and clothe your family, daily chores and social life. 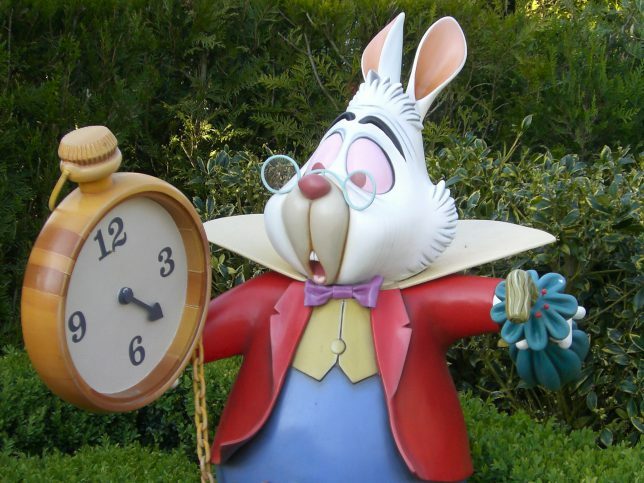 So where exactly can better time management work for you and improve your family life? Let’s take a look and see if we can’t get better organized to make that happen too. The first way of gaining back control is to prioritize everything that is most important to you. I emphasize the word most here as this is about getting rid of the stuff from your life that isn’t really important to you or your family. Take a good look at the jobs that need doing on a daily or weekly basis and write them down. These jobs will include things like taking the kids to school, going to work, housework, cooking, gardening, walking the dog and so on. It’s not really possible not to do these jobs, but they can be streamlined to make the time you allocate them more efficient. Next look at other things you want or need to do for others, this includes things like taking the kids to after-school clubs or helping an elderly relative or neighbor. Then think about things you like to do as a family, that brings you all pleasure and joy. These could be walks in the park or going on holiday. Now it’s time for you, what would you really like to do more of? Think about the things that bring you the most pleasure, are enriching, valuable, and fun. This could be going to the gym, doing a craft or joining a club and so on. Even the simplest things like reading a book can feature here. Once you’ve worked out all the things you do want in your life, next its time to figure out what is weighing you down. By removing as many of the burdens as you can, you will free up time to do more of the activities you enjoy. Think here about stuff you’ve taken on because someone asked you to, but that you don’t enjoy. Really think about the clubs your kids attend, do they really enjoy them? If not, then don’t force your child to do it, they won’t thank you for it, merely resent you and the activity. So, by now you’ll have a big list of things that need organization, and this is where you can start to plan. 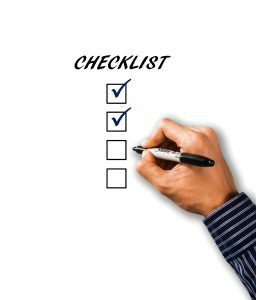 By writing down a schedule that is large, clear and easy to use, not only will you know what is going on and what needs doing, but everyone else in the house will too. Try to do this activity with everyone who is old enough to contribute to it and do it once a week like a family meeting. You can add additional items as necessary. When it comes down to making final decisions and prioritize, utilizing what’s called a Weighted Decision Matrix may help a lot! Be as detailed as you like with your planning. It might be a good idea to get into the habit gently and keep it relatively simple, to begin with. You can include daily and weekly chores allocated to everyone like cleaning the house, doing the laundry, washing up, feeding the cat, walking the dog, washing the car and so on. Don’t think that young children can’t be involved with chores, they absolutely can. By giving them a straightforward, easy job when they are young, such as feeding the family pet, it gives them the beginning of responsibility. Naturally to begin with you will need to oversee the activity you have allocated them, but pretty soon it will become habitual, give them a sense of purpose and achievement. Also, by including children as early as possible into the daily running of the household, it gives them excellent life skills and helps them to become responsible, hardworking, teamwork orientated individuals. There is literally no end to what you can plan, the daily meals, shopping, activities, family time and YOU time. Proper planning even though it might take a few minutes each day to do, will free time up for you to do the things you love. It takes persistence to achieve this until it becomes a daily habit, but after just the first few weeks you will be noticing the difference. There are many jokes about a woman’s ability to multitask as opposed to a man’s lack of ability in this area. But in reality, multitasking isn’t really a good thing; it causes stress, means the tasks are often done poorly and can mean tasks, once begun, don’t get finished. It is far better to work through the daily plan, ticking off items on your to-do list as you go along. There are loads of apps available to help you with this, by using them on your phone. These can help you to prioritize daily and weekly tasks in order of importance, and allow you to check them off as you go. By concentrating all your energy and effort into achieving one thing at a time, it will be completed speedily, effectively and efficiently. Once you get used to planning and creating “to-do” lists, you’ll soon begin to find there are small gaps of time in your day that can be used to complete little things. Think of making phone calls, checking email, tidying a surface or brushing the dog. Sorting the mail, paying bills and so on. This again helps to free up larger chunks of time where you can do something meaningful. It’s very important to make time for a break. We all need to recharge our batteries and don’t confine this to just a few hours at the weekend. Ensure you put in at least one hour of downtime per day where you just relax or do an enjoyable activity. Also schedule in when the kids go to bed, giving enough time for bathing and reading stories and so on. Then it’s time for you and your partner to enjoy each other’s company, discuss your day or relax. Try to make some time for the family each and every day. Read a story to your kids, play a board game, have fun together! If you can achieve one day a week when you can concentrate all your time on activities with your family, then do so. Kids grow up real fast, literally blink and you’ve missed it. Their childhoods are very precious and doing things together promotes strong bonds and creates fantastic family memories to be savored for a lifetime. Step 5 – Saying NO! 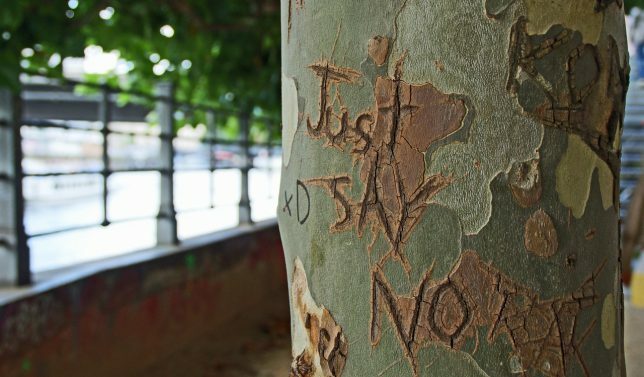 It can be hard to say no to a friend, colleague or loved one, but if someone asks you to do something that you really don’t want to do, sometimes it is better to say no. By always saying yes to everything, even though you don’t want to do it, you are committing precious time that could be better spent doing an activity you and your family all love. It’s okay to say no! Give it try! Knowing how to say no with confidence can make your day much, much better!!! You don’t need to give a long diatribe about why you can’t do it, simply decline politely and move on. Saying no also applies to spending hours a day on social media, messaging or playing games on your phone or another electronic device. I call these things selfish time as they contribute nothing to your family at all and very little to you. They drain not only your time, and research has shown that they are detrimental when used in excess. Instead, allocate 30 minutes a day or two blocks of 15 minutes when you look at social media, respond to friends’ messages or play a video game. Just because you’ve looked through your priorities once and listed them, doesn’t mean those things will remain your priority for the rest of your life. As a family, it worth consider your priorities regularly and re-evaluate what is most important to you. If you feel stuck in a rut, try to work out why; are you unhappy in your job? Do you long for something else in your life? The fact is life is short; you only get one shot at it, so make it the very best life it can be. Sometimes this may mean a radical re-adjustment, like changing jobs or moving home. But I also utter a word of caution, a “perfect” world does not exist, no one’s life is perfect, so sometimes it can be better to think about how to improve upon what you already have. Now it’s time to put this into practice, start today by evaluating your life and getting rid of the burdens that weigh you down. And finally, it is your turn: What do you think about the strategies introduced above? How do you like them and what do you think about them? Did you ever have a chance to try them out? How did they work for you? What is your favorite one? And: Did miss something that works amazingly well for YOUR family? Please let us know in the comments below! I would be really interested if you think it is useful for everyday? Mostly with the same tasks every day or do you have a sample sheet where some tasks are changed? Chris, is so right to make family his priority, as he says the children grow up in no time at all. Before you know it they are all grown and flown the nest and if you haven’t spent quality time as a family, the family drifts apart. Following the 5 rules on How to balance Work and Family, will go a long way to building a strong family unit. The rules are sound. It is so important to give the children chores and hold them accountable for carrying them out. It builds a sense of responsibility and cohesive family unit. One of the rules I had to really practice was learning to say No. If you want to please people one tends to say yes to everything and it just doesn’t work in the long run. Eventually you get to regret agreeing to do everything you have agreed to do. I had to practice long and hard, and still don’t always get it right. Thank you for these rules. They are really worthwhile. 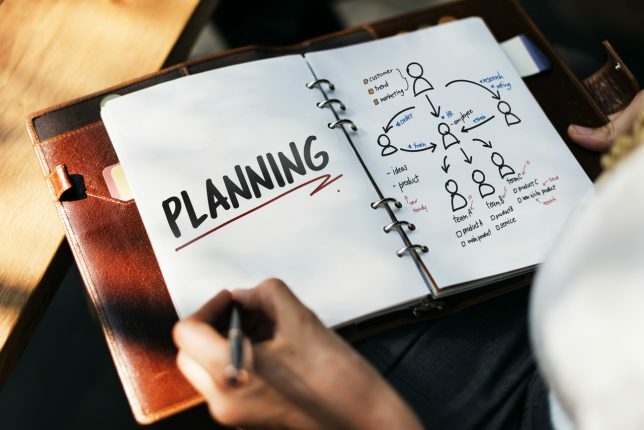 Planning, planning and more planning (when possible) saves so much stress. Especially when the children are around. Yes, children love to help around the house. It takes a bit longer to finish the job but it brings the children so much joy that I usually just give in and feel happy through their happiness. 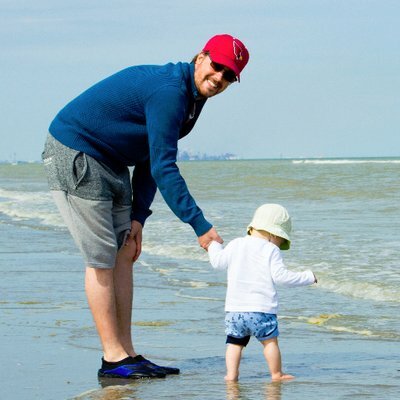 thanks for sharing great tips to organize my time as a dad. I have tried Step 1 and 5 repeatedly over the last few months. For example, my kids go to bed between 7-7:30 pm. And we have been able to adhere to that rule for quite some time, with a maximum of one day per week that things came along. Although I do not write out plans for home, I do so for my job, since I have to think a ton of things (I am a principal of large private elementary and secondary school). I like that you mention that kids can take chores when they are young. As a principal, I encounter parents where not even 11-year olds have any tasks or chores. What a waste of time. Poor parents – they must be burnt out very soon because small things make a difference. For example, my 3-year old son is responsible for his own dirty laundry, and putting away his own dishes, and help unload the dishwasher. He got used to it very quickly. We had to remind a few times, and after that, we rarely have to tell him to do those things, he does them! And there is no fuss about it. Definitely, parents do need time for themselves and time to plan ahead. Thanks for sharing those great points. It is sometimes difficult to make them work, but it is important. These are some great tips you have. I think like you said the key to balancing work and family and all about planning — then sticking to that plan. This also means giving up certain things that you normally like to do such as watch tv, play games, hang out with friends at the bar etc. This is such wonderful content. It motivates busy parents to come home and have fun with their children. I think that is a very important aspect of being a parent. Kids need their parents and that is never going to change. It’s a good thing to make precious memories with your children that they can keep for their whole entire life. It is really a beautiful thing.